How good is your business continuity plan? 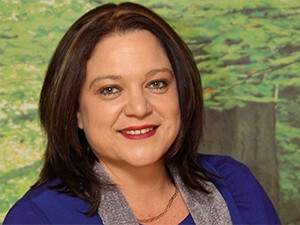 Cindy Bodenstein, Marketing Manager, ContinuitySA. Failure to have adequate disaster recovery and business continuity plans in place often results in unnecessary downtime, which can be avoided. ITWeb, in partnership with ContinuitySA, is conducting a Business Resilience survey during February to find out how businesses approach business continuity plans. "The main objective of the survey is to evaluate the current business continuity and disaster recovery landscape, identifying changes and trends from the previous year. This information can then be used to better serve customer and industry needs within South Africa," says Cindy Bodenstein, marketing manager at ContinuitySA. According to Bodenstein, a business continuity plan comprises of a series of documents that describe the priorities and actions to be undertaken in the event of a disaster or system's failure. She says, "Having a well-designed plan places a company in a far stronger position to recover should an emergency or incident occur, ensuring that a company knows how to get back to business with the least possible disruption." Without a business continuity/disaster recovery plan in place the basic survival of a company over the medium to long term is severely at risk, she says. "The potential downfalls can be anything from major operational downtime, business chaos, incorrect prioritisation for business recovery, loss of stakeholder confidence, negative publicity, disgruntled staff and customers, significant financial loss as a result of this, or even a breach of regulations, which can ultimately lead to the closure of the organisation," she notes. Financial companies, which hold sensitive data and need systems that are bullet-proof to all levels of incidents, tends to understand the rationale behind business continuity and lead the way in South Africa, says Bodenstein. "With sustainability becoming a more talked-about topic in the boardroom, we are seeing more organisations taking business continuity seriously and doing major revisions to their BCM [Business Continuity Management] strategies or business continuity plans. "Across all industries businesses are identifying the need for effective business continuity planning especially with the global demands of businesses who operate in an always on and VUCA [volatility, uncertainty, complexity and ambiguity] world." But it's just not good enough to have a plan. A plan is only effective if there is senior management buy-in into its benefits and where a mature approach to planning, testing and reviewing is given the correct level of priority. "If a plan and all its elements are not tested regularly, a company will never know if they are truly ready for that disaster when it happens. Planning, testing and then updating the plan are critical stages in business continuity management," advises Bodenstein. Click here to complete our Business Resilience Survey and you could win an Apple iPad WiFi 3G.